Sometimes, the Hawaiian Islands are not what cruisers expect. To alleviate potential disappointment, here's the lowdown on a few of the best stops for folks who are island hopping on their own boat. Our dear friends, owners of the 57-foot Nordhavn trawler we were on, so far had acquired a good 15,000 miles of boating experience. For them, it was a special accomplishment to arrive in paradise — not on just another cruise ship, but on their own boat. My husband, John, and I had previously taken six different boats to and from Hawaii and around these islands as part of our yacht delivery business. 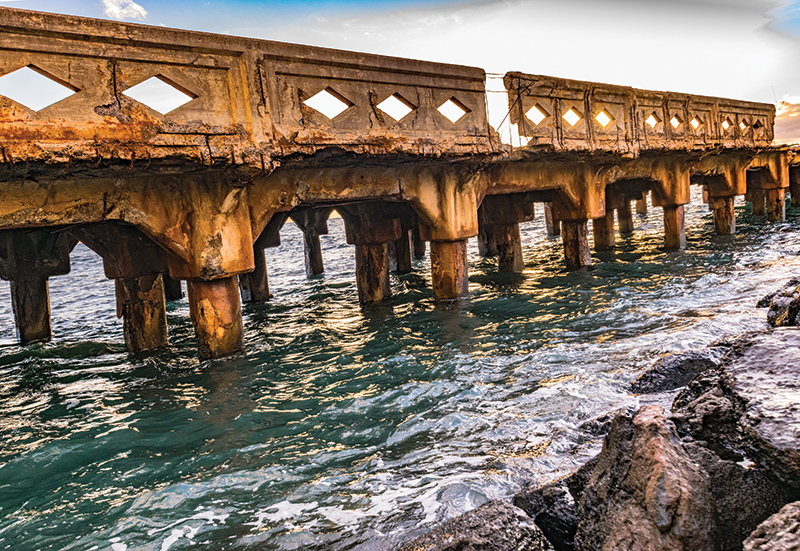 For us, Hawaii is still a familiar reward that’s always worth the effort required to arrive here. Remembering my first sail to Hawaii when I was young — about 40 years ago — I blush to recall that after 23 days at sea we almost missed the Big Island. That sailboat had no GPS, no sat nav, no radar. The sails were in tatters and the keel had problems. An elderly Navy sextant we’d planned to use had rusted to death in a bilge. So we novice navigators pulled out our plastic Plaths and valiantly plotted our way across the Pacific on noon sites alone. “Land,” we gasped. Sure enough, some mountain poked above the fog, but it was already behind us; we had almost missed our landfall. By sunset we’d limped into Kealakekua Bay on the leeward side of Hawaii. With not another boat in sight, we dropped the anchor off some black rocks. Before drifting off to sleep, I finished James A. Michener’s “Hawaii,” an epic history that had kept me enthralled on the long ocean crossing. Next morning, I thought I must still be dreaming. A dozen carved antique canoes had surrounded our little sloop. The male paddlers were stringing flowers as they laughed and sang to us, and yodeled toward shore. There, native women in flowing gowns were parading along the palm-covered beach with 10 giant, fierce-faced tikitype statues balanced on their shoulders. We launched our dinghy and went ashore. Turns out the locals were just beginning their annual two-day Hawaiian cultural festival. We learned that those black rocks were actually an ancient holy temple called Pu’uhonua o Hanaunoa, or the City of Refuge. It has since become a national historic park. The heavenly aroma of coffee wafted out to our anchorage of refuge. At this end of our passage, we had no coffee left aboard. During our first foray hiking up the steep jungle path in search of provisions, our noses quickly led us to that heavenly source. Behind a big yellow house, we saw a bunch of men wielding coal shovels. They were local coffee farmers, and with their harvest just completed they were busy shoveling truckloads of beans into the hoppers of their giant roaster oven. There was no sign, but we had found the original Kona Coffee Farmers’ Collective. It smelled so good. Of course, they weren’t set up for visitors to buy cups of coffee, but they kindly demonstrated how the coffee bean ripening, drying and roasting process works. As a welcome-to-Hawaii gift, they gave me a big burlap sack full of their fragrant beans. Mahalo! Today, those Kona Coffee roasting ovens still stand beside the road that winds up from Kealakekua Bay toward the village of Captain Cook. Now, however, the site has expanded. It boasts a welcome sign, a hip Espresso Café, a retail gift shop that will ship bags of beans home and ample parking for tour buses. 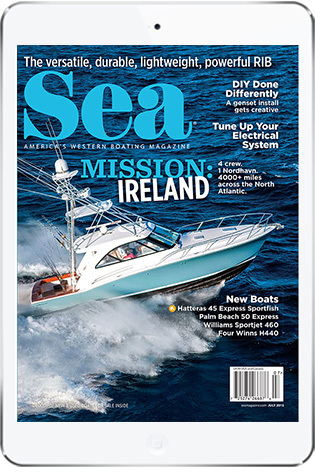 We were lucky to have been able to reserve a slip for the Nordhavn 57 in 2012, because Hawaii had been experiencing a pretty serious slip shortage. The boat’s owners had chosen Oahu because they were “commuter cruisers” and knew they’d need easy access to Honolulu’s air links. During their pre-voyage research, they found that most of the marinas and yacht clubs in Honolulu, Waikiki, Kaneohe and Pearl Harbor were filled to capacity, offering two- and threeyear waiting lists. But remote little Ko’Olina Marina had a few slips available that fit their boat’s length and beam, and depth and power needs. After flying over to check it out in person, the owners grabbed it. All the way across the Pacific, we already had waypoints for the marina as our initial destination. In Hawaiian, the word “oahu” means a gathering place. As we pulled into our new slip, we noticed many sleek kayaks and a few SUPs. But nobody yodeled to us from antique canoes, no carved gods were trotted out. However, we did get a hearty welcome — Aloha! — from boaters in neighboring slips, and the marina office gave us cards for free drinks at the Marriott resort next door. During the previous decades of full-throttle development, dozens of coral reefs and miles of coastal habitats had been dredged up and hauled away in order to provide sufficient flat space for hundreds of new resorts and golf courses. That included a few small marinas, too, such as Kailua and Honokohua on the Kona coast of Hawaii, and Kaneohe Lagoon on Oahu. But by 2012, all of Hawaii’s shorelines were being protected by a host of strong new environmental laws at the state and federal levels. Existing harbors had been prohibited from dredging or expanding their docks. What changed? Technology. 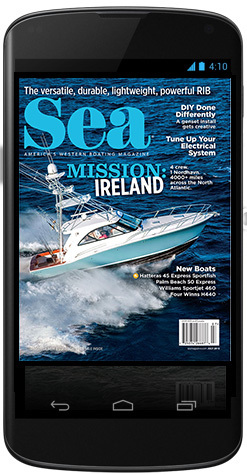 Spurred by the need for expansion, scientists and engineers figured out how to create space for people and marine life without damaging the environment, which included savvy new marina-building methods and materials. Finally, some existing marinas were able to expand their breakwaters and docks. Hence the slip shortage was, well, beginning to ease. The tiny and relatively new Ko’Olina Marina near the southwest corner of Oahu hadn’t been well advertised, probably due to its location: smack next door to a commercial harbor on Barbers Point. In fact, the marina and commercial harbor share part of the same entrance channel; to reach the marina basin, boaters bear northeast, while tugs and a few navy research vessels head straight into the larger Barbers Point Harbor. Also, a resort on the marina’s north side had recently expanded enough to physically engulf the marina property, so no one knew if it might soon close or change hands. Ko’Olina Marina became a good landing zone for us voyagers immediately after our Pacific crossing and for our friends. As commuter cruisers, they took full advantage of the fact it’s only 18 freeway miles to Honolulu International and 25 miles to downtown Waikiki. By the time we arrived, the little resort next door had expanded to 642 acres and included a golf course, pools, shops, lavishly landscaped pedestrian paths between the high-rise hotel buildings, one and a half miles of beach, and a variety of restaurants, coffee shops and happy hour bars. Because they were all within walking distance of the boat, the resort next door soon became our go-to place for lunch and dinner. Fish ponds? As soon as I learned that three authentic “fish ponds” had been incorporated into the beach next door, I grabbed my mask, fins and snorkel to check them out. Ancient Hawaiians had excavated the limestone shores in certain places to form shallow depressions with narrow mouths. Fish swam in at high tide to eat bait, and before the tide withdrew the fishermen blocked the exits with nets. Well, I found that these fish ponds were tiny, ideal for children and novice swimmers. But the island of Molokai has huge fish ponds, some a mile long, that fringe its south shore. Our friends had originally planned to make another series of passages toward New Zealand, but the delights of Oahu soon convinced them to stay and cruise the other Hawaiian Islands. And my husband and I were happy to come back and cruise with them several times. Absorbing even a fraction of Hawaii’s majesty in one cruising season is impossible. Multiple cruises are required. Based on our experience across many years and trips, here is an itinerary of sorts I recommend, moving from west to east. Summer is the best season to anchor in Hanalei Bay, the beautiful little beach cove on the north shore of Kauai, which is known as the Garden Isle. 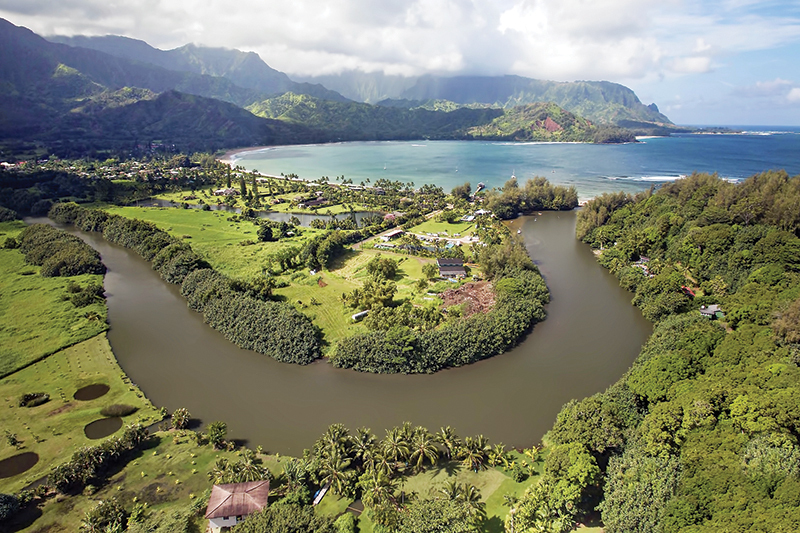 Hanalei Bay turns into a surf zone in winter, but in summer the anchorage is protected from errant trade winds by a hill to its east that is covered by the Princeville development. Remember the 1959 movie “South Pacific”? Hanalei is where it was filmed. On the east side of Hanalei Bay is the Hanalei River. Boat owners can take their dinghy up the river a couple of miles to visit what locals call the Menehune Fish Pond. The Menehune were a legendary race of mischievous small people — two to three feet tall — who supposedly inhabited these islands before modern Hawaiians arrived. Summer is also the best time to photograph Kauai’s dramatically stunning Na Pali coastline, where 20 miles of knifeblade cliffs and sheer valleys are said to mask the sacred caves of the Menehune. 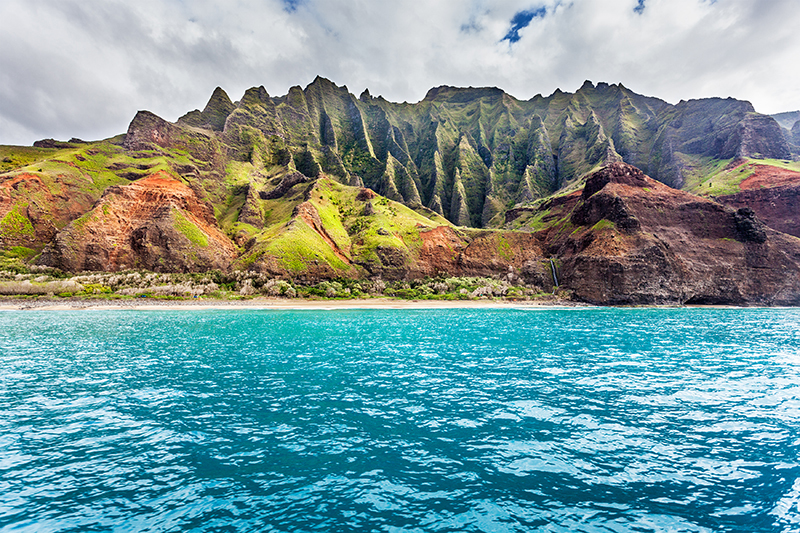 The Na Pali Coast is still held to be sacred, and it’s so rugged that no roads have ever penetrated it. The only way in is the 11-mile Kalalau Trail, which winds among Na Pali’s cliffs. It begins just west of Hanalei Bay. In my youth, I once hiked part of this treacherous trail, but that was in December and I was nearly swept over the edge by blasting wind and rain. Now in summer with boating friends, we sailed close below the sacred cliffs and received the Menehune’s blessings. Everyone has her personal favorites, but I think all U.S. seafarers should visit Lahaina, the 18th-century American whaling port on Maui’s leeward side. 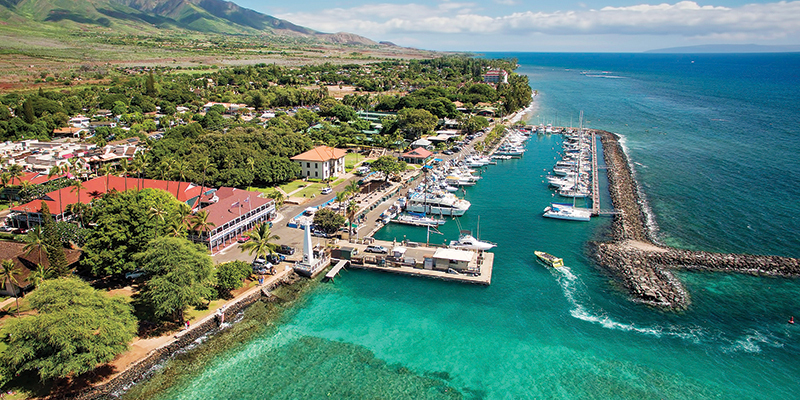 Lahaina Light leads visitors to the historic waterfront and tiny Lahaina Harbor, which has only 70 stern ties. We opted to anchor a mile north of the harbor, just outside the breaking reef and beach parks, from where it’s an easy dinghy jaunt to the harbor landing. It’s impossible to miss the gracious old Lahaina Heritage Museum, which is well worth a visit to get one’s bearings. 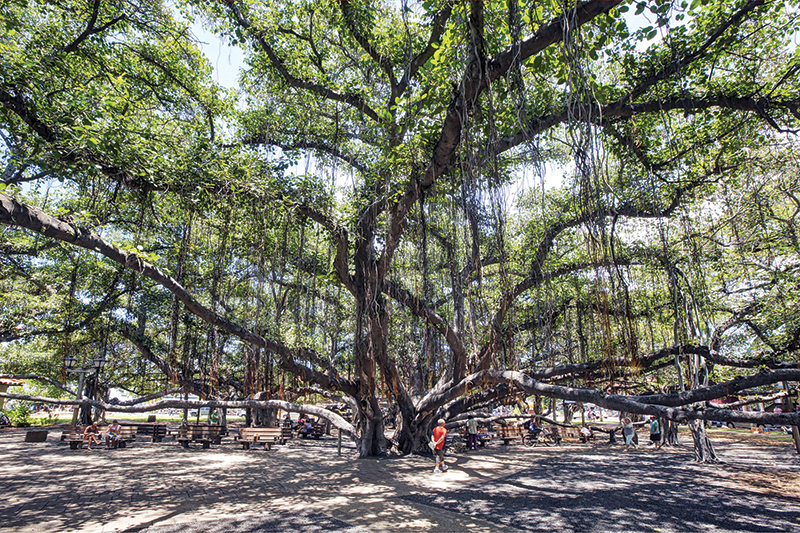 Behind it, the famous Lahaina Banyan Tree stretches its octopus- like limbs out to a circumference of about a quarter of a mile. It shelters a shady meeting park with benches, flowered paths and spots for cultural events. After we dutifully inspected Front Street’s 150-year-old wooden buildings that now house waterfront eateries — seafood, buffalo sliders, shaved ice — and shops full of jewelry, native crafts, Polynesian sarongs, T-shirts, we cheerfully whetted our whistle in one of the historic whalers’ taverns where many a hearty sailor had done so before us. Lahaina plays a prominent role in Michener’s “Hawaii” story, including the Old Sailors’ Hospital and the Baldwin House. Molokini Island is a tiny cone from a volcano that partially collapsed 230,000 years ago. It lies in the calm lee of Maui’s big southern lobe, only 18 miles southeast of Lahaina, so we cruised down and back as an easy daytime excursion. Legends say Molokini is the vanquished rival of the fire goddess Madam Pele, a crescent moon that fell from the sky. Inside Molokini’s crescent we snorkeled for hours off the swim step amid the richest abundance of marine life in the Hawaiian Islands. It’s a tropical aquarium in the wild. Scuba divers marvel at the astoundingly clear visibility — 100 feet straight down to the hard coral bottom of the caldera. In winter, divers can sometimes hear humpback whales singing in the nearby Pailolo Channel as they make their way toward Molokai. Awesome is a word I don’t use lightly, but this place is awesome. Trouble is, nobody can just anchor a boat out here. Molokini is a 77-acre Marine Life Conservation District, so visitors must arrive here early in the day and pick up one of the visitor buoys that are set inside the south wall. Park rules basically say to observe Molokini’s beauty: don’t touch anything and don’t step ashore. Molokini’s survival is kind of a miracle. During World War II the U.S. Navy used the cone for target practice, and later tons of live munitions were repeatedly dumped into the crater and detonated, destroying vast fields of ancient corals. Public outcry finally halted the practice. 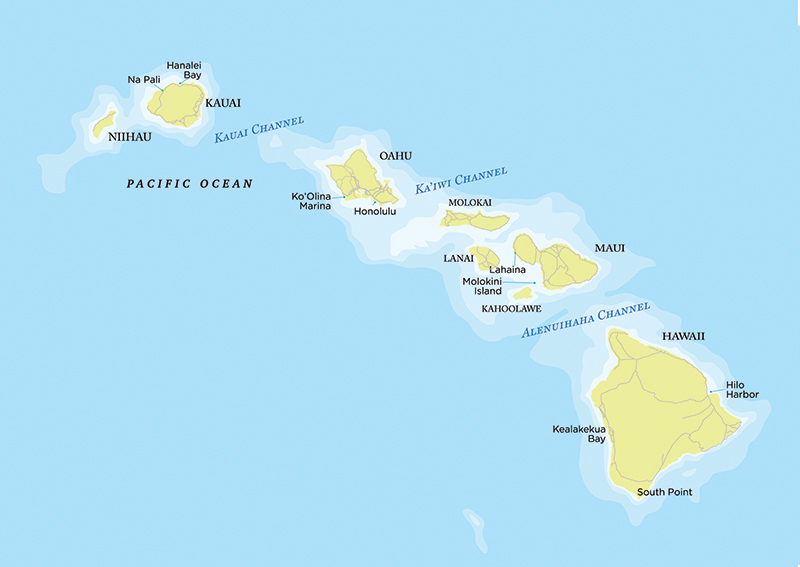 Many cruising boaters are disappointed by the Hawaiian Islands. Why? First, the three major channels that separate the islands — Kauai, Ka’iwa and Alenuihaha — are often too windy for comfort, making it a bit of a challenge to cross from Oahu to Kauai, or from Maui to the Big Island. 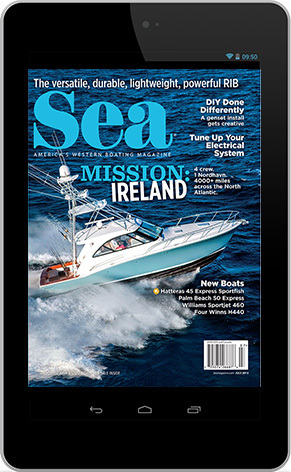 Planning to cruise from one island to the next often requires waiting somewhere nearby for a wide enough weather window to get safely across, especially during winter and spring when the trade winds are strongest. NOAA Weather Radio constantly broadcasts the various “channel forecasts” on VHF Channel 1, 3 and 7. (See the accompanying chart with channel designations.) For details, visit prh.noaa.gov/hnl/pages/ nwr.php. Second, unlike Mexico’s lower Sea of Cortez or British Columbia’s Gulf Islands, the Hawaiian Islands don’t contain an abundance of reliable overnight anchorages or recreational marinas. Where there are no anchorages enabling boaters to hop around the islands, there’s nowhere to cruise, so they’re stuck in a slip. And the slip shortage is still a problem. Hilo Harbor on the Big Island is where many yachts arrive from the U.S. mainland, but Hilo has only a small anchorage area and no marina, even inside its 1.6-mile tsunami-proof breakwater. Kawaihae village on the Big Island’s northwest coast is currently building a new commercial harbor with two patches of docks for fishing vessels and recreational boats. When complete, this should provide a strategic staging stop for boaters preparing to cross the Alenuihaha, or licking their wounds afterward. Here’s where to get the Channel WX Reports for the Hawaiian Islands.